Upper Back & Hip Pain on a Sealy Pillowtop Mattress. Home → Pain → Back Pain → Upper Back & Hip Pain on a Sealy Pillowtop Mattress. I recently purchased a queen size sealy posturepedic plush euro pillowtop mattress and have been sleeping on for a month. I've been having some upper back and hip pain after sleeping on it. I'm wondering if it is just an adjustment period or if I purchased the wrong mattress? I'm 5'10' 175lbs and I sleep on my side. I like the plushness but I don't know if it is too soft or if I just need to wait awhile longer. I only have 30 days to return it and may have to pay a restocking fee. The Sealy Posturepedics aren't as well made as they had been. You're in pain because you're body is not properly aligned. Sealy is putting more memory foam and fewer coils in their mattresses. Having a Pillowtop model isn't helpful to you, either. The combination of Pillowtop and reduced quality is not at all a good choice for a big girl. Unfortunately, there isn't one mattress that will work for you. To be strong enough to support you won't be comfortable enough. Something comfortable won't be strong enough. 175 lbs at 5'10" isn't all that heavy. If you were a guy, this wouldn't be that much of a problem. Being female, you're carrying much of that weight at the hip, I'll wager. Flaring at the hip, a firm mattress will cause severe pain there…and a softer mattress will give out at that spot on the mattress. 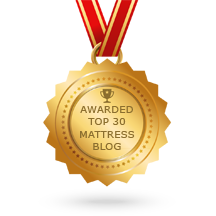 Your best solution is a firm mattress with contouring support and a soft latex topper to go on it. Latex is the only material available that will cushion the hip and be resilient enough to not give out, the way memory foam and poly foam do. To outfit yourself with the right bed, go with a Simmons Beautyrest World Class in Luxury Firm. From us, it's called Annapolis Place. 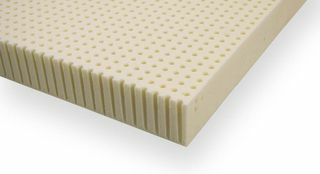 Add to that, 2" of all natural soft Talalay Latex foam rubber. Together, they provide the proper support, with comfort you won't sink through. "Zero Gravity" is the best description for the surface feel. And what's more, this combination sleep system will be supportive and comfortable for 10 years. 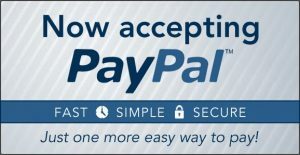 Here are links to those products on our website. When you buy from us, White Glove Delivery, (including removal of the old set), is free and there's no sales tax.